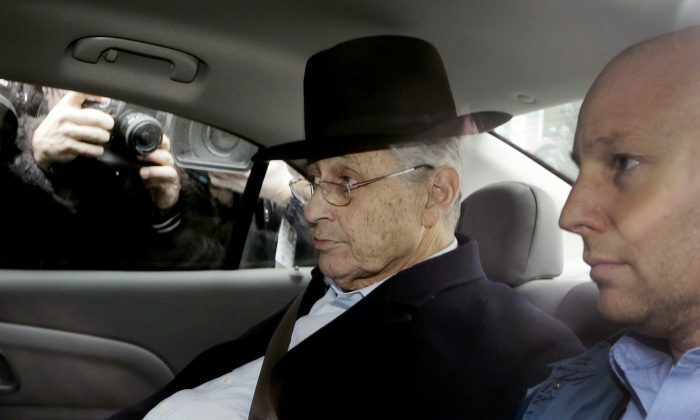 New York State Assembly Speaker Sheldon Silver abused his power to get almost $4 million in bribes and kickbacks since 2002 and then abused his power again to attempt a cover-up, according to federal investigator Robert Ryan. Silver was arrested on five counts of fraud and corruption on Thursday morning, but released on $200,000 bail later the same day. He is now under pressure to end his career as one of the most powerful politicians in the state since 1994, when he became the assembly speaker. He has been an assemblyman for the Lower East Side of Manhattan since 1977. Silver “has engaged in and continues to engage in a secret and corrupt scheme” to deprive New Yorkers of his honest services” and to “extort individuals and entities under color of official right,” Ryan’s criminal complaint states. Investigators of the United States Attorney Preet Bharara and the FBI have been working on the case. Silver has been criticized in the past for his side jobs, getting paid hundreds of thousands for services from law firms Weitz & Luxenberg and a real estate law firm that was not disclosed specifically in the complaint, services that he has repeatedly declined to discuss publicly. The New York Times identified the real estate law firm as Goldberg & Iryami. The complaint states however that he hasn’t done any work for the law firms. Weitz & Luxenberg paid Silver a total of $5.3 million. Of that, $3.4 million was paid to Silver since 2003 for referring clients with potential asbestos exposure to the firm. Investigators contacted the clients or, if deceased, their family members, and found that none of them had ever spoken to Silver or had any contact with him. In fact, Columbia University Medical Center’s Dr. Robert Taub referred the patients to Weitz & Luxenberg in exchange for $500,000 in state research grants Silver arranged, the investigation found. Taub used the money to set up an asbestos cancer center. Lung cancer caused by asbestos (Mesothelioma) is extremely rare, making up some 3,000 among 1.6 million cancer cases a year. The patients, however, are able to sue whoever exposed them to asbestos for massive compensations. Taub believed law firms profiting from asbestos cancer cases should support related research. When Silver joined Weitz & Luxenberg in 2002, Taub asked him if the firm would donate to the research. That’s when Silver asked Taub to refer patients to Weitz & Luxenberg, effectively asking for a bribe, according to the investigators. Silver also received about $700,000 from the real estate law firm since 2005 (the complaint noted records before 2005 were incomplete). He was paid for referring two real estate developers to the law firm and was also supposed to be involved in the work–optimizing real estate taxes–which he has no expertise in. But the developers have gained subsidies and tax breaks from state programs that need to be renewed by the legislature every year. They weren’t aware that if they hire the real estate law firm, Silver will get a cut of the money. Still, the investigators concluded Silver abused his power referring the developers to the law firm, and so the referral fees were in fact bribes or kickbacks. The founder of the law firm is a former counsel of Silver’s in the Assembly. When the Moreland Commission, set up by Gov. Andrew Cuomo in 2013 to investigate ethic issues in Albany, started to probe outside income of lawmakers and even subpoenaed Weitz & Luxenberg, Silver “caused the Assembly to file a motion in New York State Supreme Court” to dismiss the subpoena, the investigator stated. Silver was later involved in Cuomo’s decision to disband the commission in exchange for ethics reforms. Bharara’s office took over the Moreland Commission’s files after its shutdown in 2014 and the documents played a role in the investigation, the complaint states.